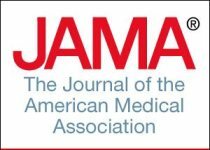 Prenatal folic acid supplements appear to reduce the risk for autistic spectrum disorders, according to a study published today (February 13) in the Journal of the American Medical Association (JAMA). The Centers for Disease Control and Prevention estimate that about 1 in 88 children in the U.S. have been identified with an Autism Spectrum Disorder (ASD). ASDs are amongst the most heritable of mental disorders, but little is known about how the disorder develops. Consequently, methods for diagnosis, prevention, and treatment are limited. Folic acid (Vitamin B9) is required for DNA synthesis and repair in the human body, and its naturally occurring form—folate—is found in leafy vegetables, peas, lentils, beans, eggs, yeast, and liver. Taking folic acid supplements during early pregnancy is known to protect against spina bifida and other neural tube defects in children. In the United States, Canada, and Chile, folic acid is added to flour, so as to automatically provide these supplements to consumers. Norway does not enrich its flour, and since 1998, the Norwegian Directorate of Health has recommended that all women planning to become pregnant take a daily supplement of folic acid from one month before the start of pregnancy through the first trimester. Despite this policy, studies from North America and Europe have shown that many pregnant women have a lower dietary intake of folate than what is necessary to prevent neural tube defects. The report in JAMA emerged from the Norwegian Mother and Child Cohort Study (MoBa) and its sub-study of autism, the Autism Birth Cohort (ABC) Study. This international collaboration (see list of members below) comprises the largest prospective birth cohort devoted to the investigation of gene-environment interactions and biomarker discovery for neuropsychiatric disorders. A total of 85,176 MoBa babies—born from 2002-2008—and their parents participated in the study. Prenatal dietary habits were recorded, and families were regularly surveyed for 3-10 years to measure the development of autism spectrum disorders. A total of 270 cases of autism spectrum disorders were identified in the study population (114 autistic disorder; 56 Asperger syndrome; 100 atypical or unspecified autism; i.e., pervasive developmental disorder not otherwise specified, PDD-NOS). Mothers who took folic acid supplements in early pregnancy had a 40% reduced risk of having children with autistic disorder compared with mothers who did not take folic acid. The reduction in risk was observed in those who took folic acid during the time interval from 4 weeks before to 8 weeks after the start of pregnancy. 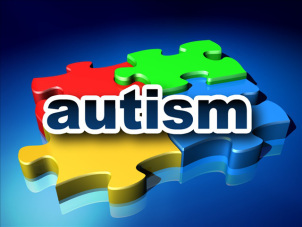 Autistic disorder is the most severe form of autism spectrum disorders in children. No reduction in risk was observed for PDD-NOS. For Asperger syndrome, the number of children was too low to obtain sufficient statistical power in the analyses. The use of folic acid in early pregnancy increased substantially from 2002 to 2008 among women who participated in MoBa. In 2002, 43% of mothers took folic acid supplements; by 2008, 85% of mothers did. However, many women began taking folic acid later than recommended, and only half started before the beginning of pregnancy. The timing of a mother’s intake of folate appears to be a critical factor. Her child’s risk of autism was reduced only when the supplements were taken between 4 weeks before to 8 weeks after the start of pregnancy. “We examined the rate of autism spectrum disorders in children born to mothers who did or did not take folic acid during pregnancy. There was a dramatic reduction in the risk of autistic disorder in children born to mothers who took folic acid supplements,” says Pål Surén, first author and epidemiologist at the Norwegian Institute of Public Health (NIPH). The researchers also analyzed whether the risk of autistic disorder was influenced by the use of other dietary supplements. They did not find any association between the mother’s use of fish oil supplements (cod liver oil and omega-3 fatty acids) in early pregnancy and the risk of autistic disorder, and no association for the mother’s use of other vitamins and minerals. In recent years, researchers have started to investigate whether folic acid has other beneficial effects on the development of the fetus’ brain and spinal cord. A study of language development from MoBa, published in 2011, showed that children whose mothers took folic acid supplements in early pregnancy had only half the risk of severe language delay at age three years compared with other children. A separate 2011 study from the University of California, Davis, demonstrated a lower risk of autism spectrum disorders in children of mothers who had used prenatal vitamin supplements during pregnancy. Prenatal vitamin supplements contain folic acid in combination with other vitamins and minerals. “This elegant work illustrates the power of the ABC cohort for not only chipping away at the riddle of what causes autism, but for developing new methods for early recognition, prevention and treatment,” says W. Ian Lipkin, John Snow Professor of Epidemiology at the Mailman School of Public Health and principal investigator of the ABC cohort. Surén P, Roth C, Bresnahan M, Haugen M, Hornig M, Hirtz D, Lie KK, Lipkin WI, Magnus P, Reichborn-Kjennerud T, Schjølberg S, Smith GD, Øyen AS, Susser E, Stoltenberg C. Association Between Maternal Use of Folic Acid Supplements and Risk of Autism Spectrum Disorders in Children. JAMA 2013; 309 (6): 570-577. In a study that included approximately 85,000 Norwegian children, maternal use of supplemental folic acid from 4 weeks before to 8 weeks after the start of pregnancy was associated with a lower risk of autistic disorder in children, according to a study appearing in the February 13 issue of JAMA. “Supplementation with folic acid around the time of conception reduces the risk of neural tube defects in children. This protective effect has led to mandatory fortification of flour with folic acid in several countries, and it is generally recommended that women planning to become pregnant take a daily supplement of folic acid starting 1 month before conception,” according to background information in the article. It has not been determined whether prenatal folic acid supplements protect against other neurodevelopmental disorders. 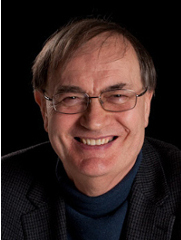 Pal Surén, M.D., M.P.H., of the Norwegian Institute of Public Health, Oslo, and colleagues investigated the association between the use of maternal folic acid supplements before and in early pregnancy and the subsequent risk of autism spectrum disorders (ASDs) (autistic disorder, Asperger syndrome, pervasive developmental disorder-not otherwise specified [PDD-NOS]) in children. The study sample of 85,176 children was derived from the population-based, prospective Norwegian Mother and Child Cohort Study (MoBa). The children were born in 2002-2008; by the end of follow-up on March 31, 2012, the age range was 3.3 through 10.2 years (average age, 6.4 years). The exposure of primary interest was use of folic acid from 4 weeks before to 8 weeks after the start of pregnancy, defined as the first day of the last menstrual period before conception. Analyses were adjusted for maternal education level, year of birth, and parity (the number of live-born children a woman has delivered). A total of 270 children (0.32 percent) in the study sample have been diagnosed with ASDs: 114 (0.13 percent) with autistic disorder, 56 (0.07 percent) with Asperger syndrome, and 100 (0.12 percent) with PDD-NOS. The researchers found that there was an inverse association between folic acid use and subsequent risk of autistic disorder. Autistic disorder was present in 0.10 percent (64/61,042) of children whose mothers took folic acid, compared with 0.21 percent (50/24,134) in children whose mothers did not take folic acid, representing a 39 percent lower odds of autistic disorder in children of folic acid users. Characteristics of women who used folic acid within the exposure interval included being more likely to have college- or university-level education, to have planned the pregnancy, to be nonsmokers, to have a pre-pregnancy body mass index below 25, and to be first-time mothers. “No association was found with Asperger syndrome or PDD-NOS, but power was limited. Similar analyses for prenatal fish oil supplements showed no such association with autistic disorder, even though fish oil use was associated with the same maternal characteristics as folic acid use,” the authors write. The researchers note that the inverse association found for folic acid use in early pregnancy was absent for folic acid use in mid pregnancy. “Our main finding was that maternal use of folic acid supplements around the time of conception was associated with a lower risk of autistic disorder. This finding does not establish a causal relation between folic acid use and autistic disorder but provides a rationale for replicating the analyses in other study samples and further investigating genetic factors and other biological mechanisms that may explain the inverse association,” the authors conclude. 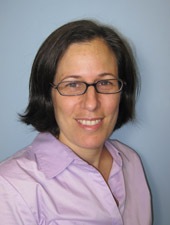 CHICAGO – A study of children in the New Bedford, Mass., area suggests that low-level prenatal mercury exposure may be associated with a greater risk of attention-deficit/hyperactivity disorder (ADHD)-related behaviors and that fish consumption during pregnancy may be associated with a lower risk of these behaviors, according to a report published Online First by Archives of Pediatrics & Adolescent Medicine, a JAMA Network publication. Attention-Deficit/Hyperactivity Disorder a Preventable Epidemic? Sagiv SK, Thurston SW, Bellinger DV, Amarasiriwardena C, Korrick SA. Prenatal Exposure to Mercury and Fish Consumption During Pregnancy and Attention-Deficit/Hyperactivity Disorder–Related Behavior in Children. Arch Pediatr Adolesc Med. 2012;():1-9. doi:10.1001/archpediatrics.2012.1286. Lanphear BP. Attention-Deficit/Hyperactivity Disorder A Preventable Epidemic? Arch Pediatr Adolesc Med. 2012;():1-3. doi:10.1001/archpediatrics.2012.1900. Dr. Harold D. Foster, Ph.D. (1933 – 2009) was one of the giants in orthomolecular medicine with boundless enthusiasm and a prolific gift of writing. He was a researcher with a soaring scientific mind who made unique contributions to the understanding of health and disease. 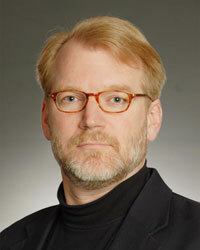 Dr. Foster was professor of geography at the University of Victoria. Using evidence from disciplines as diverse as history, geography, biochemistry and genetics, Dr. Foster demonstrates in the book “What Really Causes Schizophrenia” (2003) that schizophrenia is caused by the hallucinogen adrenochrome and its derivatives. Effective treatment involves orthomolecular substances that reduce adrenochrome production or mitigate its impact. Dr. Abram Hoffer (1917 – 2009) wrote in 2004 a book review of “What Really Causes Schizophrenia” in the Journal of Orthomolecular Medicine. For more information on the science and research based on Dr.Foster’s work, visit The Harold Foster Foundation and Foster Health. Although there may be genetic or developmental components to autism, the evidence in this current review of the brain findings in autism clearly indicates the reality of brain injury in Autism Spectrum Disorders (ASD); moreover, the brain injury symptoms which characterize autism closely correspond to those seen in sub-acute mercury (Hg) intoxication. The evidence presented in this paper is consistent with Hg being identified as either causal or contributory, working synergistically with other compounds or pathogens in producing the brain pathology observed in those diagnosed with ASD. 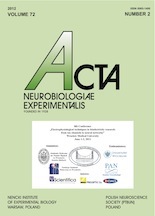 Their review article is published in Acta Neurobiologiae Experimentalis (2012; 72 (2): 113-153). This peer-reviewed journal is published by Nencki Institute of Experimental Biology in Warsaw, Poland. The purpose of this review is to examine the parallels between the effects mercury intoxication on the brain and the brain pathology found in autism spectrum disorder (ASD). This review finds evidence of many parallels between the two, including: (1) microtubule degeneration, specifically large, long-range axon degeneration with subsequent abortive axonal sprouting (short, thin axons); (2) dentritic overgrowth; (3) neuroinflammation; (4) microglial/astrocytic activation; (5) brain immune response activation; (6) elevated glial fibrillary acidic protein; (7) oxidative stress and lipid peroxidation; (8) decreased reduced glutathione levels and elevated oxidized glutathione; (9) mitochondrial dysfunction; (10) disruption in calcium homeostasis and signaling; (11) inhibition of glutamic acid decarboxylase (GAD) activity; (12) disruption of GABAergic and glutamatergic homeostasis; (13) inhibition of IGF-1 and methionine synthase activity; (14) impairment in methylation; (15) vascular endothelial cell dysfunction and pathological changes of the blood vessels; (16) decreased cerebral/cerebellar blood flow; (17) increased amyloid precursor protein; (18) loss of granule and Purkinje neurons in the cerebellum; (19) increased pro-inflammatory cytokine levels in the brain (TNF-alppha, IFN-gamma, IL-1beta, IL-8); and (20) aberrant nuclear factor kappa-light-chain-enhancer of activated B cells (NF-kappaB). This review also discusses the ability of mercury to potentiate and work synergistically with other toxins and pathogens in a way that may contribute to the brain pathology in ASD. The evidence suggests that mercury may be either causal or contributory in the brain pathology in ASD, possibly working synergistically with other toxic compounds or pathogens to produce the brain pathology observed in those diagnosed with an ASD.